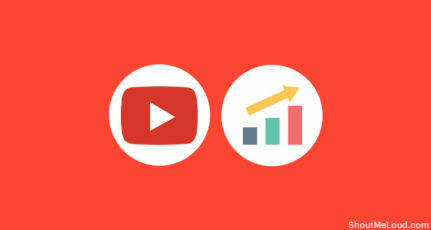 YouTube is an important part of the future of all online marketing, and if you are already into it or planning to get into it, yout future is bright. 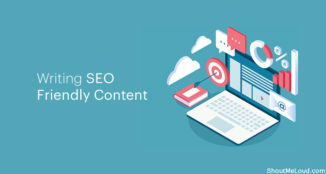 With the rise of sites like Pinterest and Instagram, it is clear that the content marketing world is moving toward images and videos for the sharing of ideas. This does not mean that text content will ever lose value, but in order to enhance your content and make it more effective and thus more valuable, you need to incorporate images and videos within your content in an interesting way. If there’s anything I have learned about online marketing over the years, it is that quality and presentation are everything. f your videos are produced in an interesting way, people are more likely to become engaged with your site. 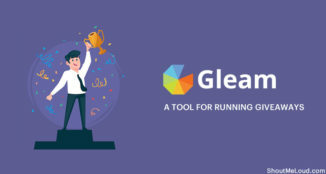 Those of us who are creating technical tutorial videos which are targeted to a particular niche crowd have to work hard to polish our videos and make them shine. In today’s post, I will share how to create intro video for your YouTube channel. Welcome to the world of intro videos! Intro videos are short videos which represent your brand in an interesting way. The idea behind an intro video is to brand yourself better. Indeed you may notice that all of the major brands are producing them. You will recognize the type of video I’m referring to when you have a look at the example posted below. This is the first intro video that I made for ShoutMeLoud. Following the video, I will explain how you can produce this type of intro video for yourself, for a very low cost. Let’s have a look at how you can create this type of video to promote your blog or your brand. If you are a big brand with lots of money in your pocket, you can hire a creative video production company to create your custom video. But if you are a guy who is starting out just like me, or a budding vlogger, you can use any of the following suggestions to create a great intro video for your brand. I love Fiverr because it connects me with creative people who offer great creative work at a meager price. What would you think if I tell you that the video posted above was created for me for a mere $15?!! 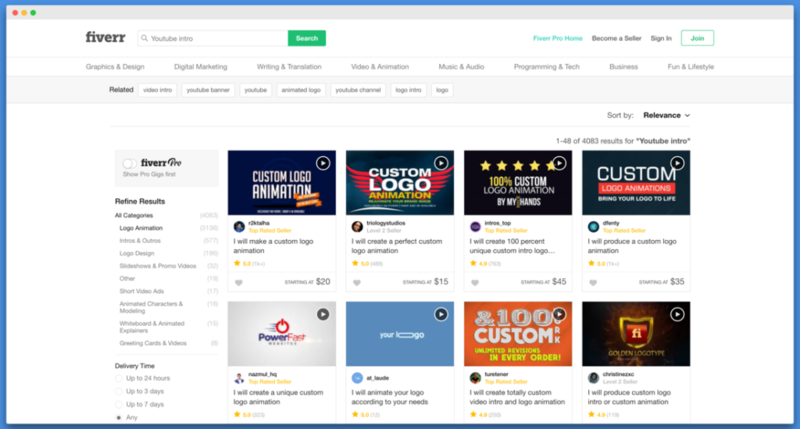 Head over to Fiverr, and search using terms like “YouTube video intro” or “video intro“, and you will find many options to have a video intro created for your blog or brand. All you need to do is buy one creative gig, provide your brand logo .psd file and a tag line/message, and the creative folks at Fiverr will create your video in less than a week’s time. For an expenditure of $15, it’s a deal that is hard to pass up! Click here to browse Fiverr. I usually buy one gig, and they also offer add-ons where I can get higher resolution videos or videos in various formats for an additional $5-$20. For example, the video embedded below was done for a total price of $15. I use this video as an “end” or “outro” video to remind my viewers to subscribe to my channel. If you understand the importance of branding, you realize that it would be minimal money well spent to have 2-3 videos created. Since your logo or message is going to be the same, the variety of videos will be appreciated by your regular subscribers. You can use this type of video as an intro video or as an outro video, or you can also use it on your “about us” page to set you apart from other blogs. If you are a do-it-yourself kind of person, you should check out MakeWebVideo. This is a DIY website for creating whiteboard videos. These videos are not ideal for your call-to-action videos, but they are very effective for representing your brand. I have one such video featured on my YouTube channel, and you can check it out here. I have previously reviewed the MakeWebVideo service here. With this service, video production costs start at $80, but these template-based white-board videos are well worth the cost. Below I have embedded a video created using the MakeWebVideo service in about 2 hours’ time. I have added this video to the about page of ShoutMeLoud, and at times I use it on interviews for better branding. Online marketing is all about doing something unique, and adding more features and flavor to your existing marketing techniques. Depending on your budget, you should consider getting an intro and outro video done for your brand as well. Having videos created for $15 on Fiverr is a steal. How many of you have created intro videos or are planning to do so? Let us know your thoughts using the comments section below. If you find this article useful, feel free to share it with your friends and colleagues on Facebook, Twitter and Google plus. 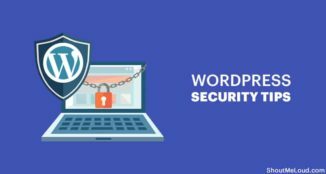 [email protected]:- A very useful article for all those people who want to learn something new by taking the help of videos instead of reading long tutorial, or ebooks etc. But sad to see that a new blogger can not take the maximum advantage from the intro video, due to its its higher prices. But finaly, thanks a lot for sharing your into video first time on shoutmeloud.. I believe $5 is the cheapest deal you can get for such professional looking videos. Can’t think of anything cheaper than this. Thats true, while i was searching for the intro and outro video i found the flexipress and they are great and free. however once you use them you cannot monetize your video legally . 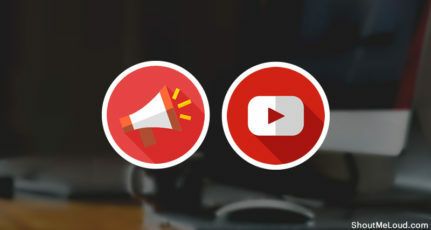 Many Bloggers wish to share video tutorials with their blog readers but they feel that it is a very difficult task and so they don’t focus on it. 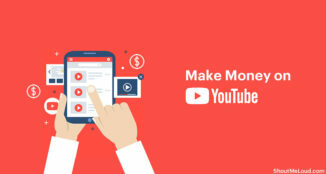 But in this article you mentioned some amazing tricks and suggestions to Create Video For Your Blog In Cost-Effective Manner. 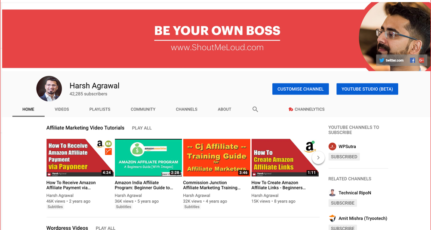 I have already subscribed you on youtube and I am also going to Create Intro Video For my Blog soon. Thanks for sharing this helpful and encouraging article with us….!! I am using powerpoint 2014 to create simple video intro. Also I use free templates on the internet to create video intro but I think I should seriously think on having a professional intro for my videos to have a professional feeling. Harsh, Are there some FREE Tools that you may want to mention ? No free tool for this. Fiverr is the cheapest and most valuable option here. Go ahead and get one for your Youtube channel. https://flixpress.com/ is now offering free intro videos check it out. please can you let me know who was the person who did that video on fiver please? Can you suggest some cloud based videos tool to edit on-line with some advance features. Hi Harsh, I’ve been doing more videos lately for myself and clients and I have a question. 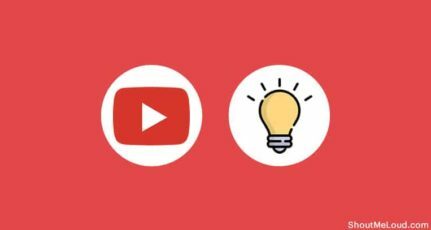 It seems that sharing from YouTube to Facebook and Instagram is nearly impossible, for them to look good in the feeds, do you still recommend YouTube for video for social sharing? I know YouTube has it’s own benefits but I’m doing more native video and am curious. Thank you. I love the idea of the $5 Fiverr gigs too!